Coalition chairman Zeev Elkin says the fate of Arutz Sheva's hometown, Beit El, rests solely in Prime Minister Binyamin Netanyahu's hands. 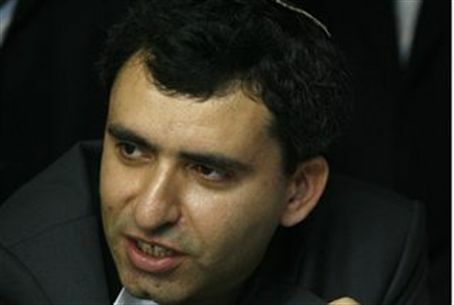 Coalition Chairman Ze'ev Elkin (Likud) said Thursday that Prime Minister Binyamin Netanyahu will the ultimate arbiter of the Jewish community of Beit El's fate. Beit El, along with the community of Givat Assaf and many others in Samaria, stands to be uprooted should the current diplomatic track aimed at creating an Arab state in Israel's biblical heartland goes forward. "The matter has been presented to the prime minister and he understands its impact. Let's be clear. He will the decide the matter and nobody less," Elkin told Beit El residents who attended a meeting with him at the Ulpana (Girl's High School) on Thursday evening. Beit El was founded in 1977- ten years after the Six Day War - when a group of Jewish families took up residence in open land adjacent to the local IDF base. A religiously observant community associated with the religious Zionist movement, Beit El was granted municipal status in 1997. As of 2009, Beit El was home to some 1,200 families with a population of 5,308 – and Arutz Sheva.